Manufacturer and Supplier of Oil Emulsifier. Our product range also comprises of Sewage Treatment Plants, Air Pollution Control Devices and Industrial Chemicals. 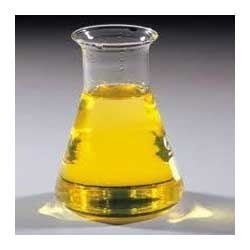 Oil Emulsifier is the chemical which help in spreading one liquid in another immiscible liquid. This emulsifier offers complete flexibility to match all compositions oils. Widely used in agriculture fields as natural insecticides and pesticides, these emulsifiers does not have any adverse affects on the crop. The common form of oil emulsifiers are neem and karanja emulsifiers. The amount of mixing and presence of emulsifier are important factors in formation of an emulsion.